MARINA extends 5-year validity period of the Seafarer’s Identification Record Book (SIRB) to 10 years. 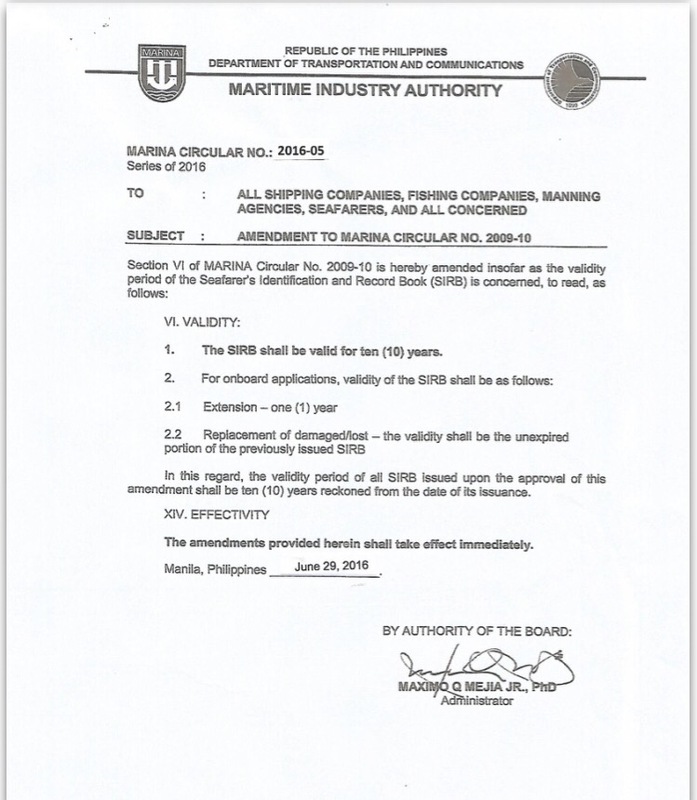 MARINA finally issued Memo Circular 2016-05 which extends the 5-year validity period of the Seafarer’s Identification and Record Book (SIRB) to 10 years. MARINA’s favorable response to ANGKLA’s recommendation will help lessen the costs, effort, and time exerted by seafarers for the application or renewal of SIRB.